Successful startups come in many forms. In Silicon Valley, a startup who has "exited" - gotten sold or acqui-hired* is seen as being successful. Examples are Instagram who got sold by Facebook, and Change-tip who was bought by Airbnb. Naturally, those who have persevered and built a profitable business are also seen as a success story - such as 37 Signals or Mailchimp (See NY Times story). In the Philippines, we have not heard of many successful exits. Does that mean we don't have many successful startups? (We shall soon tell you more about these successful startups, but we digress). The idea is to expand the definition of successful business, to include those sustaining or profitable and lasting at a certain period. The idea is to not limit "success" to the startups that have exited, since there are more business owners, who are still operating their business, and are making a lot of value. One does not need to exit their company, to be called a success. We think having a business that lasted for some time, are not getting enough credit, when in itself, by having lasted through the years, is a good measure of success. And this is something that you don’t usually hear in the startup-centric conversations. Having said this, it's good to expand the definition of startup success, since the way businesses grow and become successful here in the Philippines, is different that in the US, where it's largely driven by capital and external market valuation. 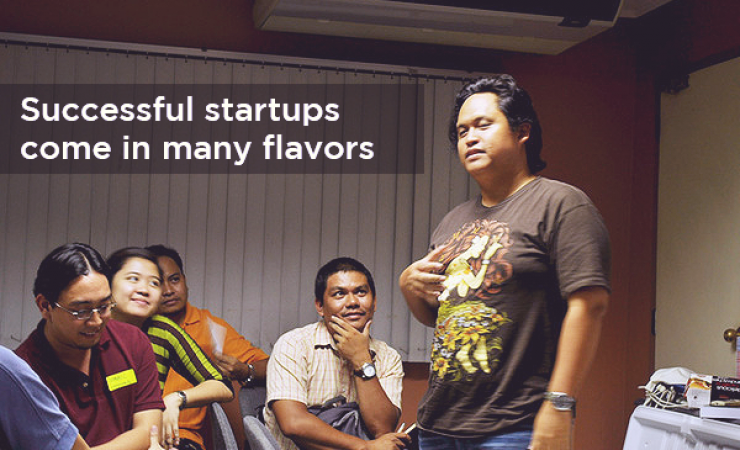 What is the Filipino definition of startup success then? The idea of "exiting" as a success factor, there’s a tendency of creating a mindset of short-term success. It's true most entrepreneurs think of them as a catalyst for change, and that when a change has completed, they often look to what's next. Second: Founded and kept a company profitable, with at least ten people, running for ten years. The first one might be an interesting story to read and the second one a lot less without the first one. With the most interesting in this perspective is when both are true even if the owner has not exited. Though either of them, will still be interesting, since in business, time is the biggest enemy. If you run out of time (due to no cash or incentives), then the business also ceases. Further, it is hard to say there are a 'definite' criteria for success since it's often about the one defining it or depends on what the founders has set out to. In the end, we support startups as it's all about creating value, serving a need, generating jobs, using innovation to improve people's lives and boosting the economy. However, success is defined up to you. We have fun doing what we do, and we've done some of the things we mentioned above, so that's a great bonus and success in our eyes as well.